Polygons Allow Advertisers To Be Location Exact. Mobile advertising provides the unique opportunity for advertisers to reach their audience while they are on the move, whether they want to target busy moms, commuters making their daily treks to and from work, or business people traveling between cities or states. Data Look Back – live devices that appeared in polygon within two years can be targeted. Loyalty Retargeting – serve ads to people who have been to your store previously. Conquest Retargeting – serve ads to people who been to your competitor’s store previously. Site Retargeting – direct ads to people/devices that have previously visited the advertiser’s mobile site. Device Matching – use identified phones as a seed list to expand reach to similar audiences. Geo-Fencing – Deliver media only to those who are interested, not just those nearby. Mobile geo-fences will optimize in real time to only deliver to the highest performing subsections of the original mobile geo-fence.This dramatically cuts down on ad waste and increases campaign performance. 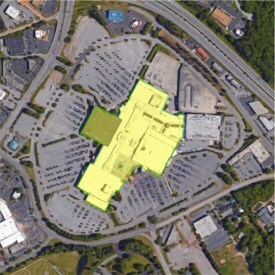 Find consumers who are inside actual physical retail locations and their accompanying parking lot. Fences are uniquely drawn for each location so that they are a perfect outline of store shape or such, not a simple circle that encompasses areas outside of the store location. Build loyalty or frequency by reaching those who have visited locations. Retarget any consumer who has visited a store or physical location from past campaigns. Speak to your most loyal customers and offer them meaningful messages wherever they are after visiting your location. Campus Geo Targeting – Nittany Digital delivers your ads directly to students on campus and mobile websites they visit. Mobile App Networks – We offer many mobile network solutions across various demographic audiences in order to target your customers. These mobile networks are designed based on hundreds of campaigns for advertisers targeting these particular audience groups, and the sites included have performed well in delivering audience traffic to advertiser sites. Behavioral targeting – is a technique used by online publishers and advertisers to increase the effectiveness of their campaigns through information collected on an individual’s Web-browsing behavior, such as the pages they have visited or the searches they have made, to select which advertisements to display to that individual. Contextual Targeting – Every word on every website page is indexed and cataloged by the major search engines – this is how we get the search results we do. As a result of this function, contextual targeting enables advertisers to choose the keywords that best match the product or service they offer, and then have the ad delivered onto the site editorial pages that contain them.